First and foremost I would like to deliver a meaningful message to the audience who can then interact and participate and try to inspire the next viewer with their creative process. It should be something that you would look at and consider to take home for your own personal inspiration, something to put on your own wall, in your scrapbook, on your Instagram story, something everyone can incorporate into their “aesthetic”. This exhibition will showcase a selection of interactional artworks that were created for a Guerrilla Marketing Campaign and Multimedia project. 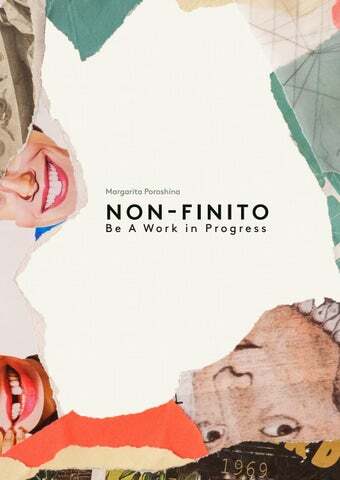 Non-Finito engages Artists, Designers and Creatives in an artistic exploration of the creative work flow and inspiration process and how both can be influenced by unfinished art. Corridoio Fiorentino presenta la mostra monografica della studentessa Margarita Poroshina, a conclusione del percorso di studi Career Studies in Visual Communication presso la Florence University of the Arts. La mostra conclusiva del corso di Visual Communication and Publishing, che apre giovedì 11 aprile, propone una selezione di opere mixed media, dal titolo NON-FINITO. L’idea alla base della mostra è la creazione di un'esperienza interattiva che simula una campagna di “Guerrilla Marketing” concepita per coinvolgere lo spettatore che diventa a sua volta attore del processo stesso, senza il quale l'opera non si compie. Il risultato è l’influenza reciproca artista/spettatore in un flusso continuo verso ogni possibile fase successiva per la definizione dell’opera stessa. BIOGRAPHY Margarita Poroshina was born in 1998, in the Republic of Crimea and has lived and studied the United Arab Emirates since early childhood. 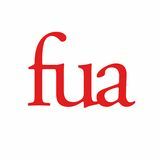 She has been a student at Florence University of the Arts since 2017, studying Visual Communication. She is studying to become a transdisciplinary artist, primarily working across photography, graphic design, visual art and illustration. Growing up between the naturalistic aesthetic of her home town and Dubai’s concrete jungle she draws her inspiration from both urban culture and society and and the natural world. Margarita Poroshina è nata nel 1998 nella Repubblica di Crimea, trascorre la prima infanzia negli Emirati Arabi Uniti, dove ha vissuto e studiato fino al 2017, quando si trasferisce a Firenze per il Career Studies in Visual Communication alla Florence University of the Arts. Margarita si propone come un'artista poliedrica, che lavora con la fotografia, la grafica, l'arte visiva e l'illustrazione. Crescendo tra l'estetica naturalistica della sua città natale e la "giungla di cemento" di Dubai, trae ispirazione sia dalla cultura urbana che dalla natura. WEATHERED COLLAGE POSTERS The idea behind this poster came from noticing different street art in Florence and how a lot of it has very little durability and is constantly subject to change. People tend to peel them off and take them as mementos or for personal inspiration, especially in touristic areas and popular student spots. The small fractures and tears found in the streets resonate with the human presence within the larger landscape. Changes in our surroundings are akin to ever changing artistic expression and societal changes. If one artwork is ripped, sooner or later another one is stuck on top and the process repeats itself, leaving traces of the destruction and creation process on the walls. By looking at the remnants of the artworks we get a taste of different mediums and concepts juxtaposed together. Vast amounts of artistic content is layered, most likely without the intention to collaborate, creating something that looks like a hurried collage or a moodboard slapped together and then taken apart. This unintentional juxtaposition is fascinating to me and I decided to try and incorporate the “destruction is creation” and “accidental inspiration” concept into my Guerrilla marketing campaign. An artist that has been a huge inspiration to me was Andrea Myers, with her series called “Paper pieces”. She constructs layered artworks that become three dimensional from the process of compiling pieces of paper and fusing each piece together into a whole. Initially she starts screen-printing open fields of colour onto each piece of paper, and then randomly gluing them together, creating a rectangular stack that she then tears into by hand. Color combinations emerge, creating a spontaneous composition that is derived from a subtractive process. In her process of tearing into the paper, indentations or negative space starts to form, which becomes the focal points of the pieces. In my project I decided to have the empty positive space taking up most of the poster, which could function as a blank canvas for the viewers or as a space for the title and tagline in alternate versions of the poster. Around the focal point there are remnants of art, pieces torn out of magazines and newspapers as means of inspiration, different textures meant for different outcomes, in various timeframes. Initially all the materials are glued together to cover most of the surface and then torn into even further to parallel subtle shifts in our everyday environment, such as peeling or cracks in the wall, as well as the effects of the constant changes in inspiration and expectations in the creative world. Moodboard A visual representation of concepts, colours and form that can be incorporated into the campaign. WEATHERED STREET ART - GUERRILLA MARKETING CAMPAIGN With this collage series I decided to to test run a Guerrilla marketing campaign, using the power of imagery to help spread a message or idea in a more personal or memorable way. I created 3 different versions of an A4 poster using a similar technique to the one used in The Weathered Collage posters, to create a non-commercial campaign that I intended to hang around Florence over the weekend. After creating 3 different compositions and hanging them up, I waited a couple of days to see any results or lack thereof. This was to see what changes need to be made to the composition and the contents of the campaign if it runs in the future. I distributed the posters throughout the Duomo neighbourhood and around popular street art spots in the city. The posters include a layering of some of my old sketches, magazine cut outs and textures, glued together to mimic the destruction and creation process of street art and the cityscape as a whole, as well as changes in ideas and creative processes of artists. The positive space in the middle is the focal point and the viewers â&#x20AC;&#x153;canvasâ&#x20AC;?. One of the posters contains a preliminary sketch that I made with the purpose of giving the audience a starting point or an example of what can be done. The sketch is unfinished and details or changes can be added by the spectator. Guerrilla marketing campaign trial, taken around the Duomo neighbourhood and popular street art spots in the Florence city center. Many of the posters have already been peeled off by spectators and possibly mistaken for street art and taken as mementos. As time passes, results of interactions and weathering will be more distinguishable, as the process of creation, destruction and innovation persevere. NON-FINITO, MA È UN’IDEA Another version of the interactive poster series where I decided to try a more minimalistic, bold approach to voice the concept of drawing inspiration from something that has been started but not necessarily finished or developed and that some things can be left concealed or hidden and are still identifiable. The poster says “NonFinito Ma e un idea” which translates to “Not finished, but an idea”, and has a blank space in the middle that is the focal point of the poster where the audience’s interaction comes into play as it serves the purpose of a blank canvas. Starting something but not necessarily finishing it so that it could be a starting point for someone else’s ideas and their development and further inspiration. In a way this is a collaboration of the audience as artists. As new people view and process, anything that is applied to the blank space on the poster, allows it to become a birthplace for new ideas and the resurrection of old ones and can inspire someone to develop their ideas after seeing a preview of their potential, or to finish an unfinished project after understanding that their doubts and hesitations are only holding them back in the grander scheme of things. This is a safe space, no judgement, no deadlines, no expectations. n n finito non fin o non f ito Find growth in the process. FILL IN THE GAPS What are the processes that people go through in the decoding and negotiating of meanings? How do we know if something is really “Non-Finito”? “Fill in the gaps” explores the space between the known and the unknown, the finished and unfinished and that even though something is not complete to perfection or obvious in intent, the thought behind it is still distinguishable and anyone can interpret it in their own way replacing the unknown with previously accumulated knowledge. When you read the text on this poster, you mentally fill in the spaces that are left blank, when considering this I was reminded of Leonardo Da Vinci’s creative process and how he liked to conceptualise the ending of a painting in his mind before moving on to learn something new, rather than doing it physically with a brush. Sometimes leaving something to the viewers interpretation means giving the audience a voice, and and leaving room for recognition of multiple narratives, viewpoints, wisdoms and cultures. NON FINITO In the age of mass media everything is consistently being updated and we give it the power to affect us and our expectations for ourselves and others around us. For centuries people spent their their time perfecting their art, waiting to find their paragon and to be recognised and appreciated. They tried to avoid the impasse while making a living with limited resources and skills. Non-finito was created by those who knew that it has to go a little wrong for it to go right, those who knew that their knowledge was of greater value than finishing and idea which would conform to the norms of the times rather than innovating. Nowadays, with the pace of the internet and social media, everything around us is subject to constant change and momentum. All that seems to matter is innovation and consistent production of content and we have access to endless knowledge. We give mass media the power to affect us and our expectations for ourselves and others around us. Humans are subconsciously developing robotic traits, a shorter attention span and creating unrealistic expectations for themselves because the internet makes everything seem so easy. We never see the process behind a project or artwork, we just see and instagram update of a flawless final outcome. Consistency can still be maintained if we introduce a healthier creative process. Maybe the importance should be placed on producing something and inspiring someone, rather than the instant presentation of polished work. Everything a person does from the moment an idea pops into their head to the moment they decide its concluded, is a part of their growth process. This growth process is exactly what needs to be shown as the paradigm for inspiration, every aspect of it, no sugar coating! Destruction is creation, a pool of ideas is creation, leaving room for recognition of multiple narratives, viewpoints, wisdoms and cultures is creation, Non-finito is creation. With art as with music and literature, society has lead us formulate preliminary opinions and beliefs that affect the way we choose to view things and react to them. As creators our main challenge should be to create healthy expectations and standards for ourselves and generations to come. Whether something is finished or not, the beauty is in the eye of the beholder. And as for personal merit â&#x20AC;&#x201D; it all comes down to the knowledge you gathered along the way.